John has new and used road bikes of all shapes and sizes available in store. No matter whether it’s for a fast commute too and from work, Sunday morning club runs or audax and sportive events, John will find the perfect steed for you. Remember the bikes featured below are just a sample of what’s available in store. If you don’t see what you are looking for, just drop John a line with your requirements. Refurbished Carrera Vanquish 48cm in red/black. New alloy frame with Kinesis alloy fork. Sora 18 speed groupset with 50-34 compact chainset & 12-30 cassette. Giant SR-2 wheels with 23mm Schwalbe Lugano tyres. Clearance for mudguards and mountings for a rack. Ideal entry level roadbike, winter bike or commuter. 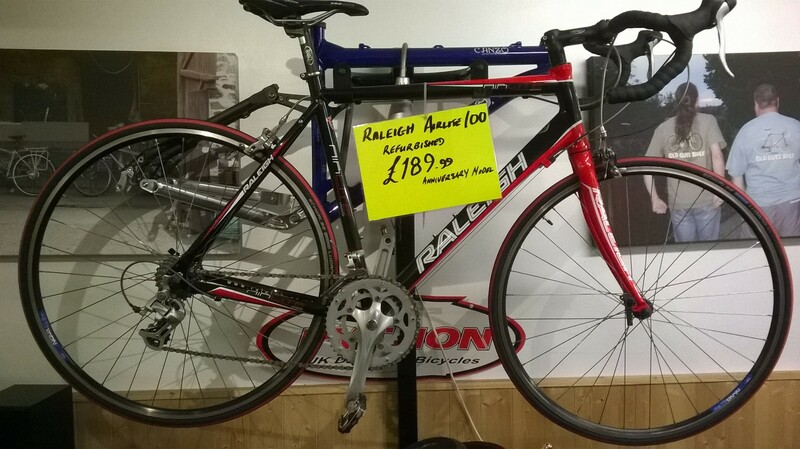 Refurbished Raleigh Airlite 100 in red/black 125th Anniversary model. 55cm alloy frame and fork. Shimano 16-speed transmission, 12-25 cassette with 50-34 compact chainset. 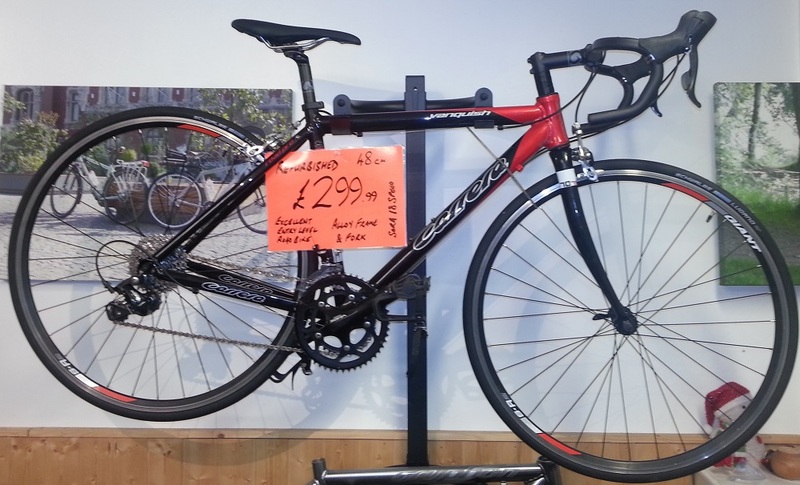 Refurbished with new bar tape, saddle Schwalbe Lugano red tyres, full service. Clearance for mudguards and mountings for a rack. Excellent starter, commuter or winter bike.